If you aren't some form of malicious AI bent on revenge against humanity, then the idea of mixing puzzle gameplay together with tragic events might not make very much sense. It's a strange combination that has "honoured" the RMS Titanic in particular with several different examples, and we've pondered both the implications and the individual worth of such titles before here at Nintendo Life. That's right; we get downright philosophical over hidden object games. Titanic Mystery is the latest game on the 3DS eShop that tasks the player with finding a variety of random objects that have been scattered all about the legendary ship, only not quite... In something of a unique twist, developer Joindots GmbH has actually set this adventure in the modern day. A hard-hitting news report from GNN opens our story on the one hundredth anniversary of that fateful voyage, as a replica ship imaginatively named Titanic 2 is about to set sail in celebration of the vessel's legacy. Now, you're probably thinking that this would be a bad idea, due in no small part to sheer karma, or the presence of a mad bomber on board (yes this is real), but thankfully our hero is on hand to save the day with the magic of item finding! 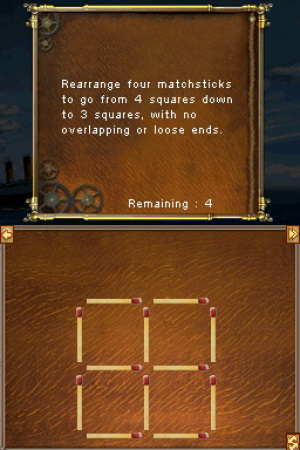 There are a total of 30 different levels to "solve", which all play out in the same way. 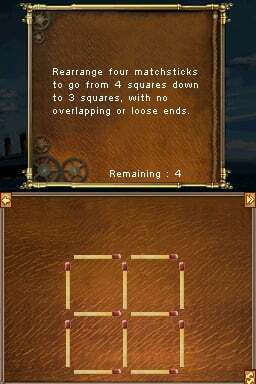 You find a set number of the same object first of all, then clear items from a list before solving a totally random puzzle at the end. The variety of ship-based environments look pretty decent, taking you between different areas both above and below deck, and the visuals are clear enough that you won't spend half the game squinting. In fact, most of the objects stand out far too much, looking awkwardly pixellated in comparison to the smooth backgrounds. It makes for a very easy hunt, and even if you choose to play with an optional time limit for some added pressure you'll breeze through levels within a couple of minutes. 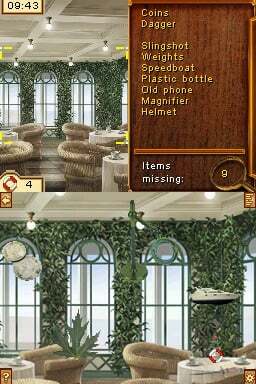 Like most hidden object games, controls are relegated to the bottom screen and work fine whether you're navigating a zoomed-in view with the D-Pad, Circle Pad, or stylus; the top screen displays a full view of the room alongside a list of objects to be found. However, tapping mindlessly incurs no penalty, so you can actually ignore the list completely and just go berserk until you're allowed to move on. If you're really stuck, then using a hint brings you straight to one of the required items, and while these are limited resources, there are plenty to be found in every single level - you'll never run short. Puzzles are a bit more interesting, though don't always offer much in the way of challenge either. You'll be putting notes back together, rearranging matchsticks and switching levers to progress, but these can all be skipped if you're just interested in the basic object finding. It makes for a nice change, and you can go back and play these on their own at any time after unlocking them. Each level earns you another page from a mysterious diary, which is key to the plot and discovering the identity of the explosive passenger. While levels can be approached in any order, they're doled out in chunks of 4 or 5 at a time in order to maintain the overall linearity of the story. You're actually able to jump in and out of different rooms whenever you like, and the game saves your progress mid-puzzle for you to slip back in again. In this sense we suppose it's a nice feature to have if one room somehow leaves you completely stumped, and you're dying to try out another one instead. In terms of presentation, static environments and boring, looping music are pretty much to be expected from games like this. Where Titanic Mystery really tries to stand out is with the aforementioned story and characters on board the ship. 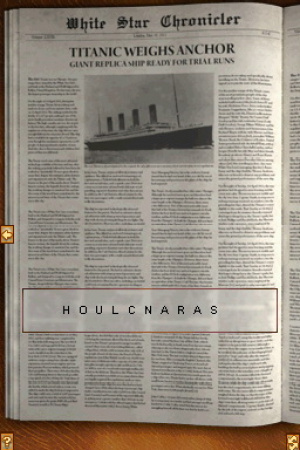 It's difficult to call it a success, with numerous spelling mistakes and some pretty bizarre and downright tasteless choices made - the band on board Titanic 2 are called "The Icebergs" for example - but it's at least something to keep the player going. There are some interesting historical facts in there too, as everybody on the ship seems to be directly related to the original crew or passengers in some way. Believe us, they aren't shy about telling you that either. We managed to solve our Titanic Mystery in about 4 hours of aimless tapping and minor intrigue. As a hidden object game it's below average, and does a poor job of actually hiding any objects within the bland environments on board the Titanic 2. It fails to do anything interesting to breathe some life into a tired genre, and instead banks it all on some decent puzzle mini-games and a bizarre storyline to keep the player interested. Let this one sink. Near, far, wherever you are...don't buy this game. Developer: Well, onto plan B......Hindenburg Mystery Point and Click Hidden....Whatever. I think at this point an LJN movie based game off of the 97 Titanic movie would be a welcomed sight. Yeah. At least the swimming pool on the Titanic is still full. Even a Steeldivers Lusitania expansion would be better. @Vineleaf haha. I would buy steel divers if they did that. Why do developers keep putting out garbage like this on the eShop? Crap, Crap, and more Crap. I wonder why we 3ds are becoming disenchanted. Maybe one day someone somewhere will actually make a lengthly, well thought out find the object game just to surprise the hell out of the world. one more title to put in the trash! "takes the game off of it memorys"
What? I said nothing! Don't look them up! They're awful! You'll regret it!!!! Other than that, I have had some fun with recreations of the ship as maps for Second Life and Garrys Mod. 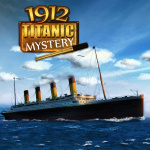 I keep seeing Titanic video games and they always turn out to be these hidden object games. I don't get it. That screenshot of the stairway looks EXACTLY like the stairway in 999. Not too much of a surprise, seeing that both are set in replicas of the Titanic. I actually bought this.... WHY!?! Good to see games like this gets released rather than any other VC classic games anymore. Where is Jontron when you need him. anyway, no surprise this game is not so good. Well, find the object games often lack being unique or having much individuality. I'm not surprised that the objects stand out, if you use a background that looks nice but your objects don't look as nice, that's what happens. 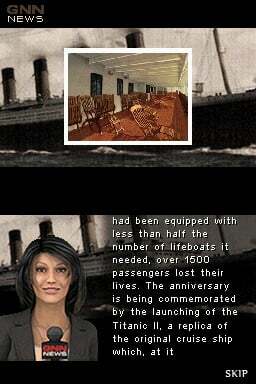 If you have a change to get Titanic: Adventure Out Of Time for the PC, then definately get it. One of the best games with the Titanic and a fantastic point-and-click adventure in general.